My STAR WARS Run 2018 Review [10km] (by SwimmingRunner) | JustRunLah! The first Star Wars movie (episode 4: A new hope) was released in May 1977 whereas the first Star Wars run ever organized by Esprimo in Singapore was in May 2017. I didn’t watch all of the star wars episodes ever screened. In fact, I can’t vividly remember the story of all the episodes that I had watched, especially the older ones. I’m not a Star Wars fan but I liked Star Wars movies because they looked seems very futuristic plus they are “action packed” . 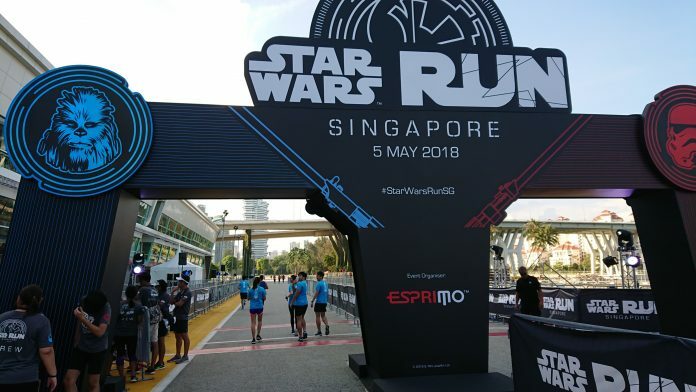 This year’s star wars run was the 2nd run ever organised in Singapore. 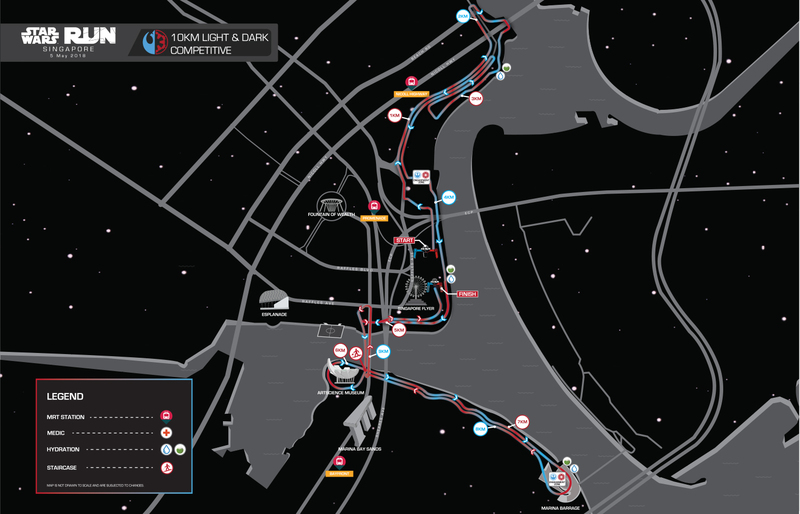 There were 4 categories to choose from: 5.4km light/dark side and 10km light/dark side. There were also categories for kids such as the 540m young Jedi kids dash. 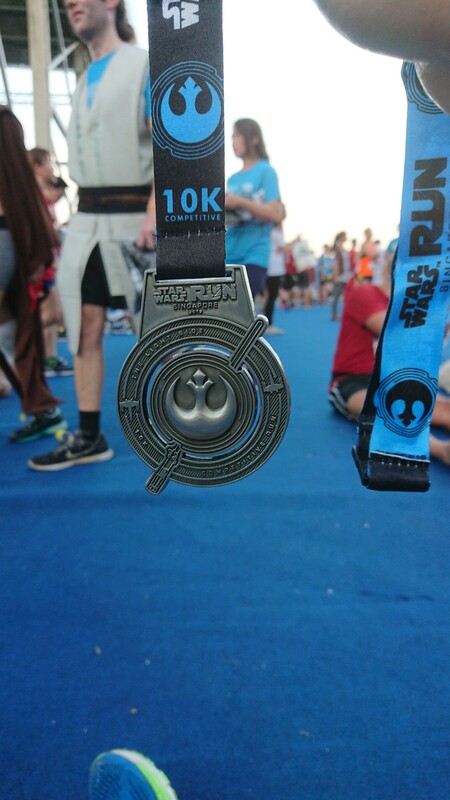 I chose the 10km light side category. I felt that the race fee was super expensive even with loyalty rate, the race fee amounts to $70 SGD for the 10km category. 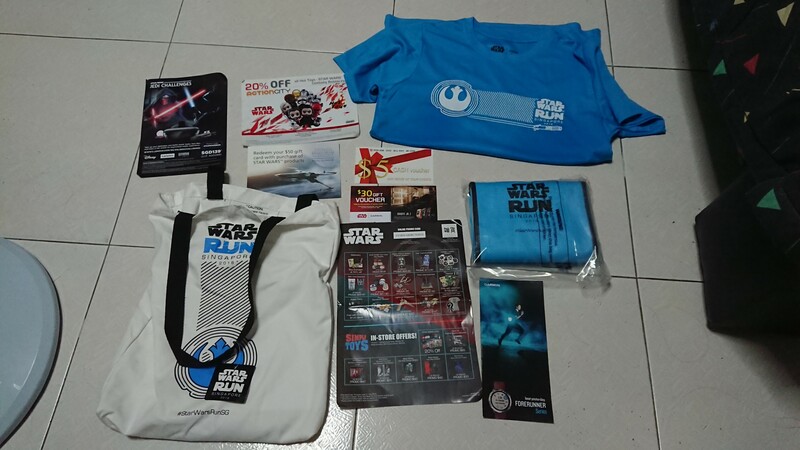 Last year I took part in the Star Wars run 10km category and paid even more 💵 ! Until I collected my race pack, I realised that the flag off time was at 5pm. I felt that it was too early as the sun at this point of time will be hot. I had a half day work on race day. My work ends at 12pm. I took nap after work and ended up reaching the race village at 5:20pm. Bag deposit had no queue, immediately deposited my bag and proceeded to run. The weather wasn’t good. 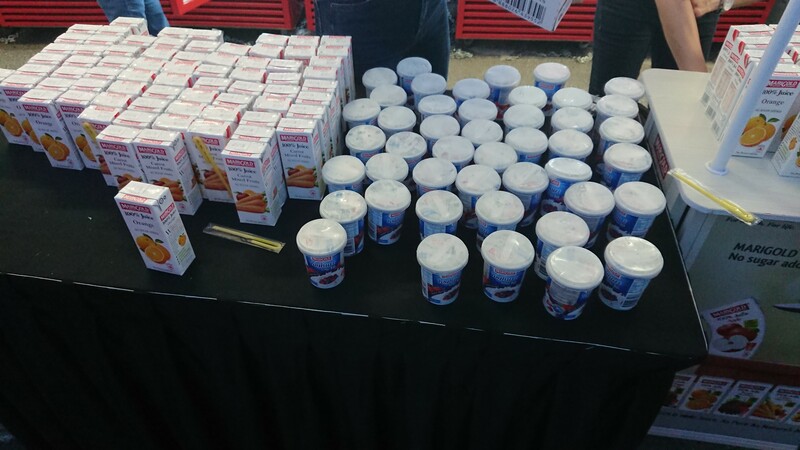 There were little cloud overcast in the sky such that all the infrared rays, visible light, and ultraviolet rays from the sun combined to BBQ all the 10km runners 😂. 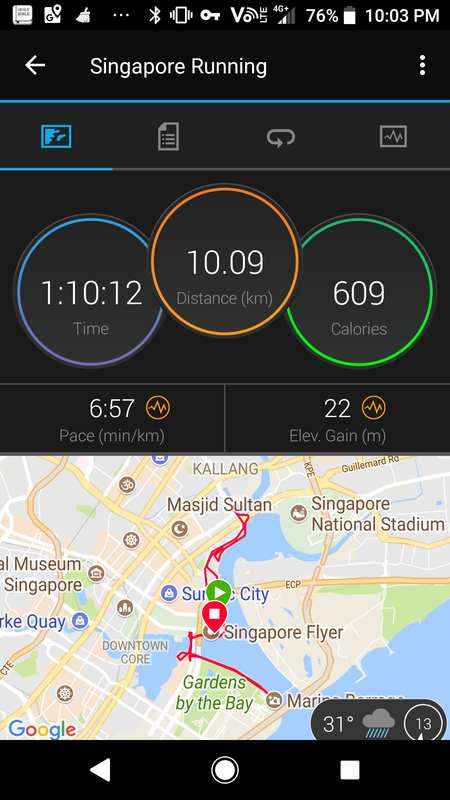 This time round, I paced myself slower than I would normally run a 10k because I don’t want to end up with a headache, because of the weather, and because it’s a themed run. So I tell myself to relax and run! All hydration points serves both plain water and coconut water. The plain water wasn’t even chilled but the coconut water was icy cold. Hydration points were also evenly spaced. 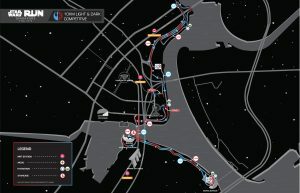 The 10 km route starts from F1 pit building, through Nicoll Highway, Garden by the Bay and the Marina Barrage. The only bottleneck I experienced during the race was somewhere at the 4.5km point where the path was the narrowest making it difficult to overtake other slower runners. At the halfway point, I saw the young Jedi runners assembled at the start pen while running pass F1 pit building. 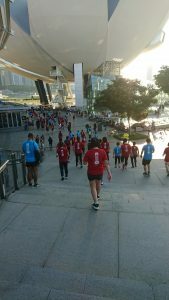 Further down the route, I was greeted with ramps installed on the stairs for the runners but we need to climb down the stairs later. The crowd increased as I ran further. 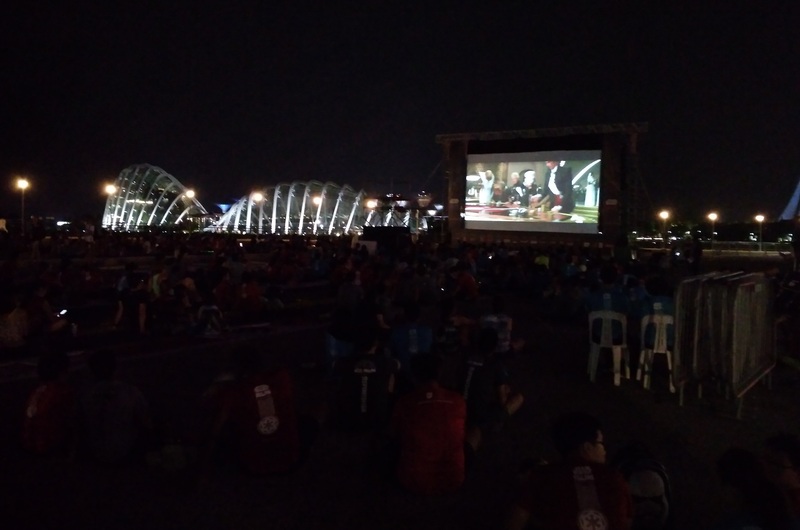 I was running into the lane for the returning runners most of the time while running from Gardens by the bay to the finish line as it was too crowded. This time round, I tried running slower in the beginning than at the end (negative split) and ended up finishing in 1 hour 10 minutes time. After finishing the race, I took some drinks and yogurt at the Marigold tentage. The movie was long, I stayed back to watch until it ended. Bu the time I arrived home, it was passed midnight. 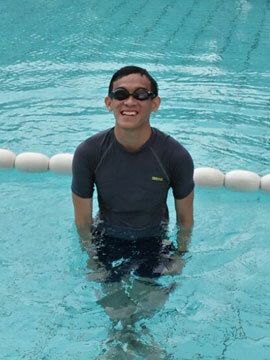 Click here for more post from SwimmingRunner. I was at the run too. You may read my blog about it. I went early to soak in the star wars atmosphere and make the run even more fun. I also went for dinner at the Millenia Walk, at this eatery called ‘EAT’. Seemed during the dinner time there was fireworks which I saw from someone else’s U tube post on the run.